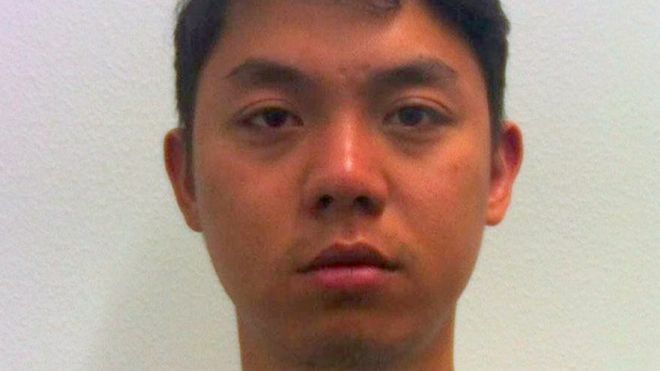 A British-Filipino has been jailed for causing a crash which killed his friend as he tried to reach 100mph to film footage to show off on Snapchat. Philippines born Ricafort Gamboa, aged 25, from Bolton, raced along country roads near Aberystwyth, while his passengers filmed him on their mobile phones. But his Citroen C3 smashed into a wall, killing Ernest Pideli, 18, and injuring two others, Swansea Crown Court was told. Mr Pideli was a talented footballer who hoped to one day play for the Philippine national team, the Azkals. Gamboa admitted causing death and serious injury by dangerous driving. He was jailed for four years after telling police: “I take full responsibility for what happened. My stupid decision to drive so fast was the cause of the collision. Paul Hobson, prosecuting, told the court that the group had been returning to Manchester after a holiday at a caravan site in Fishguard, Pembrokeshire. Gamboa’s friends could be heard on mobile phones recovered from the crashed car encouraging him to drive faster and he began taking corners on the wrong side of the road. But as he raced downhill into a series of corners, the car fishtailed, mounted a bank and then swerved across the road and into a cottage on the side of the A487 at Chancery, a few miles south of Aberystwyth. A stone wall was demolished by the car, which had been doing more than 90mph. Mr Pideli died four days later from head and neck injuries. Gamboa’s barrister, Charles Row, said he was so remorseful, he was being genuine when he said he wished he had died and not his friend. Judge Keith Thomas told Gamboa, who wept as he was being sentenced, that he had used the road as a racetrack. “You drove at breakneck speed saying you were trying to reach 100mph,” he said. “And you ignored signs telling you to slow down and that there were bends ahead. Gamboa, a Domino’s Pizza restaurant shift manager, will be banned from driving for five years upon his release from prison.